Now there is the breakthrough of Biofinity Energys™, the patent-pending contact lens innovation especially made for today's digital device users. Biofinity Energys™ lenses feature Digital Zone Optics™, which helps with eye tiredness caused by focusing on close-up digital devices. It’s a unique simulation of positive power across the entire optic zone, so wearers can change focus from on- to off-screen and back with less effort. And it fits like a single-vision lens. Biofinity Energys™ lenses also feature Aquaform® Technology. This technology attracts and binds water throughout the lens material to retain moisture – natural wettability that can help your eyes feel less dry. That’s important because spending significant amounts of time staring at a screen causes blink rates to reduce, resulting in dry, itchy or burning eyes. Your patients’ busy lives now include the use of digital devices. Help them experience the contact lens designed for the way they live. 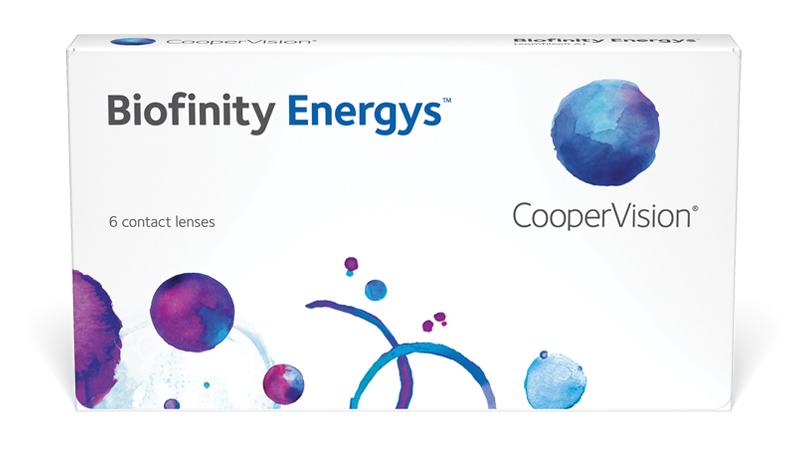 Ask your CooperVision Territory Manager about NEW Biofinity Energys™ lenses.